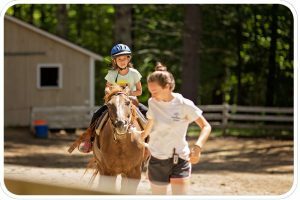 Seeking Sleepaway Camps in New Hampshire? 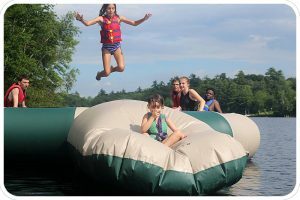 New Hampshire is home to some of the oldest sleepaway camps in the United States, and among them is Quinebarge. Since 1936, Quinebarge has offered a premiere overnight camping program for children ages 7-15. 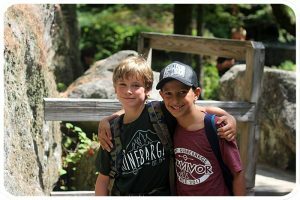 At Quinebarge, campers don’t just spend a few weeks exploring nature, building campfires, and having fun at their activities; they learn about themselves and the world around them while making memories and forming friendships that will last their entire lives. 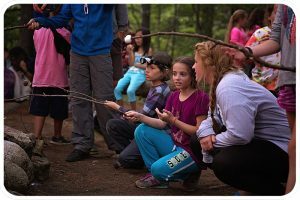 If you’re looking for sleepaway camps in New Hampshire, look no further. As a residential camp, Quinebarge is able to foster friendships in a way that day-only programs cannot. We intentionally create a sense of community through activities and experiences that bring campers together. Cabinmates bond during special trips and activities, overnights in our tenting area or on our Monkeytown platforms, and at nightly Candle Pass, where they share their goals, feelings, or simply their favorite thing about the day. A unique aspect of Quinebarge life is that the friendships created extend beyond cabin, age, and gender. Campers choose their activity schedule, sit where (and with whom) they like at meals, and elect to go on small group trips. According to our campers, being able to spend time and become close with children outside their cabin is one of the most special things Quinebarge has given them. At Camp Quinebarge, we embrace our roots and traditions while offering both classic and modern activities. Each week, campers choose 4 activities in addition to their Red Cross swim lessons. With our large selection of choices, there is something for everyone: boating, sports, tennis, archery, climbing wall, Low and High Ropes, horseback riding, nature, woodshop, arts & crafts, drama, ceramics, hiking, and more! New in 2018, campers can enjoy tubing or cruising on our 24 foot pontoon boat, or playing Laser Tag in our 20+ acres of undeveloped forest. Some of Quinebarge’s best programming involves overnight adventures, both on and off camp. Each cabin has a sleepout at least once per 2-week session, either at our onsite tenting area, or in the treehouses of Monkeytown. During sleepouts, cabins build a campfire, roast marshmallows, tell stories, and stargaze as a group before tucking into their sleeping bags for the night. Campers wake up the next morning feeling a little closer and more confident than before. For even more fun, our Trips Director leads overnight trips as well. Campers stay at campgrounds or Appalachian Mountain Club huts, and spend the days hiking, canoeing, or taking a dip in one of the White Mountains’ many swimming holes. These campers return to Quinebarge with a sense of accomplishment as well as fun memories and stronger friendships.